POINT TOWNSHIP — Following an early spring groundbreaking, the project to build a new dealership for W & L Subaru is moving along quickly. There is plenty of activity at the construction site. 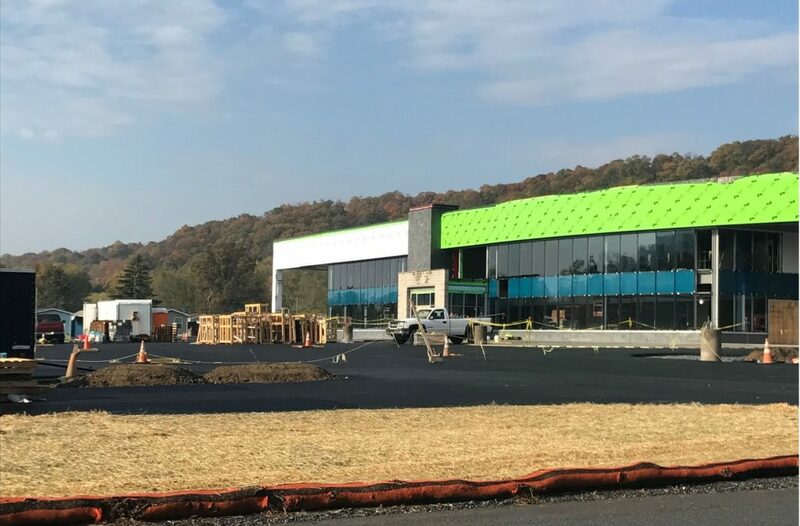 The parking lot at the new dealership along Route 11 in Point Township has been paved. Glass is being installed in the front of the building and work is underway on the new service bays that will be available at the dealership. In 2018, W & L Subaru will move from their current location on Route 11 in Northumberland, to the new state-of-the-art dealership in Point Township, just over a mile down the road. The post Progress continues at site of the new W&L Subaru appeared first on T-Ross Brothers Construction, Inc..